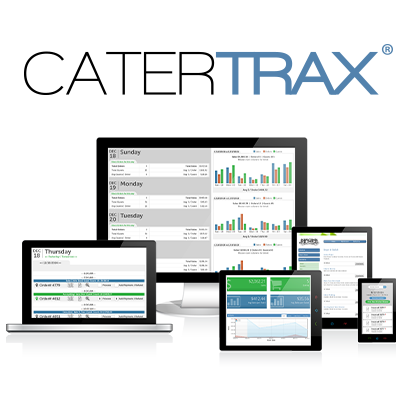 Over 20,000 non-commercial foodservice providers in industries like higher ed, business, and healthcare choose CaterTrax's web-based solutions to streamline catering, floor stock, and take-out. 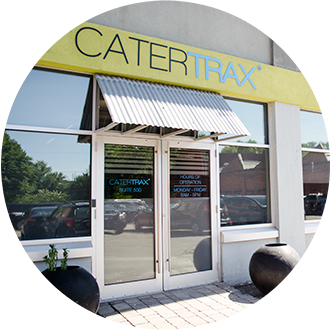 CaterTrax helps in-house operations and large enterprises support their unique brand of hospitality with mobile friendly websites and powerful production management. The company supports their clients and partners with configurable solutions, 24/7 support, menu services, and accessible ongoing training. Pros: The online ability to place orders, add or delete items, and duplicate on both the client side and admin side are time savers for all. The ability to build reports needed for your specific unit are vital in sharing information with clients about inventory control and past catering events. Cons: Need to allow admins to add new items as needed without submitting a support ticket. A "super user" should be allowed to perform this function. Overall: It has streamlined our entire process from the beginning till the end. It doesn't matter the size of your catering business because it can be personalized for all areas. We use several of the Catertrax components that helps us maintain Floorstock, Catering, and Off site ordering. The reports feature is to share with clients so they can see on a daily basis what is being ordered to help with their budgets. I have worked with several different software systems for Catering is this is by far the most advanced and adjustable to our business needs than any other. Pros: Catertrax helps me to manage financial reporting for 13 facilities in our health care system. It's also convenient for users who schedule room reservations at multiple locations. We can track product sales. They were helpful after an audit with Price Waterhouse Coopers as we overhauled our floorstock. One tech Olesh Muraji was outstanding in his customer service on this project. Cons: It does not update passwords /synch with our employer's Single Sign On Imprivata Agent. Users are often locked out of their Catertrax account after they change their password every 6 months for our health system. Customer Service is often challenging. Some techs will close tickets before allowing me to check and make sure they've completed the task I've asked them to do. It's very hard to communicate what you want fixed or created at times-- I don't feel like they look at things from the user's perspective. For example; I've asked for corrections to be made to have consistency at every Catertrax web page in our system as it seems like different folks worked on the set up. Users have to place orders or check out slightly differently at different facilities and the techs "claim" they can't change things-- seems like they don't want to take the time to make corrections and would be bothered to do so-- like it's making more work for them. There's often disconnect between the non-techy users and the super technical customer support staff. I've had other Admin Users state the same thing. Overall: It's easy to manage data across several facilities in our health system. 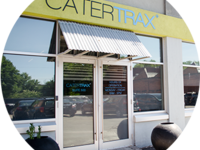 Pros: Before CaterTrax, we were spending hours inputting our catering orders into excel. I used CaterTrax at a previous job presented the benefits of using this program to my boss. He was on board, but our corporate office wanted us to use Caterease. I put together another presentation comparing the two programs and and after a long discussion, we were able to get CaterTrax. I saw the light at the end of the tunnel! This was the best thing we brought to our department and clients. Overall: They are always looking for ways to improve and keep up with the changes in technology and they allow the customers to provide suggestions and feedback. Pros: As an admin user I like the ease of correcting a customer order if need be or adjusting their time. I also like to be able to see what is reserved in one room only if you want to use that option. The on line wallet is also a great tool, I like that the customer can have multiple cost centers if they work in different departments. Cons: There is a lot of clicking to do when you add catering, I wish the steps were a little simpler. When customer have log on problems I wish Catertrax would also call them to help as our IT department does not support Catertrax. Pros: ALL OF THE FEATURES - this encompasses all catering orders into one program which allows you to research year over year, month over month information and to see who is ordering and what they are ordering at a glance. Production list features are great when you have a lot of events in a short period of time. In my experience I have come to rely on the entire CaterTrax platform to ensure our success! Cons: Really the biggest problem would be the sometimes the organization and repetitive or unneeded nature of the information that has to be included. Pros: The catertrax system is very user friendly. We have a lot of intern students that join us throughout the year and I always have them put in test orders on the system to see how good and easy it is to use. I also ask that if they have any complaints or constructive comments to let me know. They are always very impressed with the site. LOVE using the CaterTrax site, the staff is helpful and well versed in helping answer questions! Pros: It's so easy to input orders and to retrieve past orders if you know the date of the event or have a previous order number. Cons: We can't track by suite number and you can't put the orders in alphabetic order. I would love to be able to see the title of the order when selecting from the list under the client name. Overall: I use this software multiple times daily. Before we had the software we were doing all of the orders on a spreadsheet and trying to calculate all of the charges by hand. This software saves so much time and ensures accuracy in the math. Was able to customize to our needs for many things - adding cooler temperatures for our areas that we stock was one. Cons: sometimes when using on the ipad it locks up for our tray passers who enter floor stock. Wish could easily make changes on own to back end. Overall: Organizes all components of room reservations and catering in same place. Totalizes by cost center etc in reports amounts for the month. Pros: A one stop shop! Gives us so many options that it is hard to choose which ones to use. It is so easy to teach our customers how to use it and once they start using it the feedback from customers is GREAT! They love the feature that they can go back and look at past orders. Our clients like that they can get quick and detailed reports every month. Overall: Easy to use, they train you on all aspects of the software and getting customers to use it is a no brainer. Catertrax is an awesome tool. Pros: I think it is great that everything is in one place for the customer. I like the notifications received on any changes and tracking. Great asset for back tracking. Cons: I wish the reports could be edited and more created. Such as the date on the daily calendar cover sheet...the date would work better at the bottom of the page rather then the top. Search options could be filtered better. Overall: Much more organized and pricing is pre set. 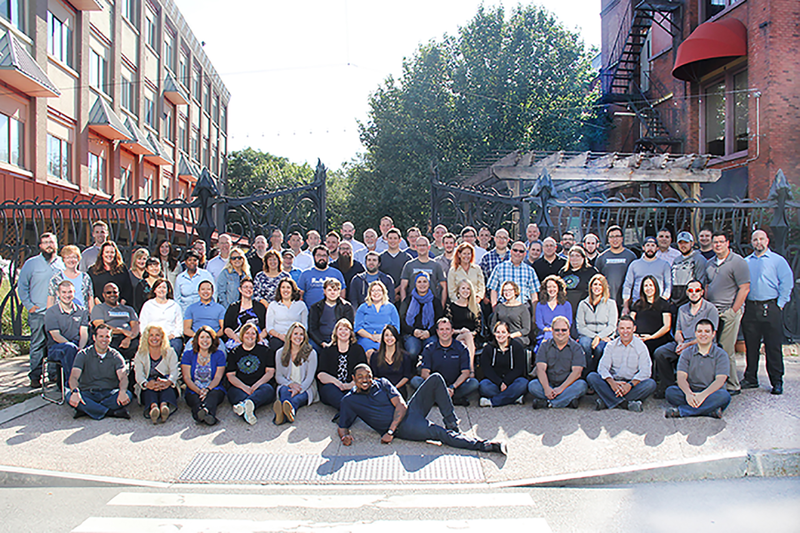 Outstanding team to work with! Pros: I have been working with Catertrax at four different hospitals over the past nine years and have never....never been disappointed. They are extremely professional and they deliver ahead of expectations. They blend seamlessly into our operational systems and, most importantly, are very user friendly which is a bonus for our clients. Plus it is a great value for the money. Most customer friendly reservation/catering system out there! Pros: It is intuitive and easy for everyone in the organization to use. It keeps track of every change and edit so everything is easy to track. Cons: Back side takes a lot of clicks and back and forth to see and make reservations. We do not set up the rooms so wish we could take that part off. Overall: It is easy to learn so people do use it. Every interaction is tracked so we can see who made an error when they call and complain. Pros: How easy it is to use and very user friendly, i use this system on a daily basis to keep all of our order organized and not only does it help myself as a director it helps or kitchen staff keep up to date. 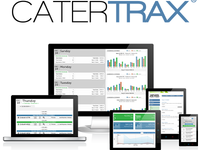 I have used cater trax for almost 10 years, it has been a time saver. Pros: It is a great software that the customer does the work for you. I was able to save on payroll since I did not need a catering employee to put in the catering orders. It is very user friendly. Cons: Only thing is once in awhile the system is down or runs very slow, then the customers calls me and I have to put the order in for them. Pros: customer service is very quick to respond and resolve any issues that arise. Also, clients are very happy with the ease of placing orders online while viewing current menus. I've done catering for years, and I can honestly say this is the best program and it so efficient! Pros: What I like most is that I can change prices and menus according to the client's needs. Also, having everything in one place from ordering to billing makes it so efficient and there's a lot less in confusion problems for me and the client. Overall: I love that I can do menu changes, price changes, track orders, and billing. That's a big plus! Pros: The support staff can create reports that I need for everyday to monitor catering expenses. It is easy to plan you week by the calendar. Cons: that I have to keep going in to add a new event under my name where before I click a button to add a new one. now I have to enter my name, find me, then proceed. Overall: Everything it has to offer. Pros: I am a techno nothing this program is easy to use. The customer service response to requests is quick and efficient. The customer service reps are very friendly and always helpful. Cons: The new shopping cart. I really dislike this add on. I like to see the runnig order without having to click on the cart. Pros: The software is very user friendly. Customers rarely have issues entering their orders. The training for use is ongoing and easy to understand. Customer service is awesome. Cons: When trying to make a change to an existing customer on an existing order the software doesn't let you make the change. Pros: I find it so easy to maneuver. I have used other catering software in the past and I find this software the easiest of all the competitors out there. You can change, add, delete with ease. Any time I have an issue, the support team is very quick to respond and remedy my issue. Cons: If you click delete, sometimes the page disappears. You will have to clear out computer history every so often for catertrax to work with zero hiccups. We LOVE catertrax here at our hospital. Cons: Catertrax can be a bit cumbersome to teach a brand new user but after inputting a couple of orders, most users gravitate around with ease. without it frankly. At the end of the week, when sales are to be reported, all I have to do is click a few items and hit print! It really saves me time and it's accurate. Healthcare Floor Stock and Functions! Pros: Updates in real time and consolidates information for easy data retrieval. Customers can enter easy orders without contacting the office, reducing time for both parties. Cons: Would like to be able to customize my site a little more. Changes made by the user need to be changed by the administrator - would prefer this only be the case for last minute changes. Overall: Data retrieval, Credit card payments, real time updates, uniformity. Pros: It does everything for you. I don't have to worry about invoices, processing payments. It creates kitchen sheets. Makes billing and production SOOOO easy! Pros: Easy for my customers (and me!) to use! The billing and payment options are super easy for us to use! Cons: No issues! This is a great program for catering and billing! I have no issues with Catertrax! Makes my job easier! Pros: The ease and speed of use when introducing to clients. They are adopting very quickly which makes my job easier. Cons: There are a lot of possibilities but the time to reach some of those ever changing needs is sometimes challenging. Pros: I honestly don't know how I could do my job effectively without this product. The support team is remarkable as well! LOVE!! :-) Thank you CaterTrax!!! Pros: The flexibility with both reporting as well as engineering. The support team is what makes it so great though, every time I come with a suggestion or request they immediately respond and help assist. Cons: Doesn't quite work well with IE, I still use internet explorer as my go to browser but often times the I get hung up - could also be my network..
ease of access. better customer satisfaction.features and functionality are great. Pros: orders can be easily adjusted to our customers. Quality is great. there are many classes offered to keep users/administrators knowledgeable of the many different uses of the software. I really enjoy the fact that I can create whatever the customers needs may be. Makes enjoyable experience for all. Pros: In our healthcare hospitality environment, CaterTrax has allowed us to consolidate catering, floorstock, and requisition ordering and tracking in one convenient place. The site also affords us powerful reporting tools to have better-informed discussions with stakeholders about budgeting and food usage. Cons: I have no complaints whatsoever. Powerful and simple to use. Overall: The CaterTrax platform is powerful and simple to use. Customer service response time and results are top-notch. User friendly and very easy to learn! Pros: It's easy, user friendly, quick to learn and you're about to pull it up on ANY computer or mobile device. Cons: When you adjust the guest count, I will it would ask you if you'd like to adjust all of the numbers on the invoice to reflect the new guest count...that way you don't have to go and change each individually. Overall: It's so quick to use, leaves me more time to get other things done! Pros: It is consistant. I have used in three properties and I am pleased with the ease of transferring from one to another. Cons: ability to make changes. I wish there were some items that were changeable on our own without having to ask for a change or figure out a way around the system for a one time item. Overall: Able to use in many properties without "retraining"
whenever I do have questions I know that I can count on a quick response via a support ticket. 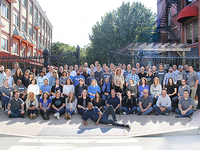 Pros: the customer support and programming team are huge assets when you need them they are there ready with answers. Overall: everything is there. the trail it leaves helps with any issues or questions that arise. Pros: Easy to read and input. Work orders are simple to see and the coloured pin calendar system helped tremendously in tracking the status of events. Pros: I like the simplified interface and ease of choosing what I need catered for my events. I like that I can update items in my shopping cart without having to go back to make changes. I also like that I get a detailed confirmation email. Cons: The only thing I dislike is that sometimes the screen is hard to see and long sentences run across the screen and are not text wrapped. Pros: It is very easy to use and saves my business a ton of time and money. Its not hard to navigate and use friendly. Cons: It is kind of outdated and could use some revamping. Also, the passwords not saving has caused us to be kicked out of the system a few times. Pros: nothing, not easy to use or intuitive. Very difficult to find things. Cons: Everything! It is not easy to use! It also looks very old! Overall: we have this for work and i HATE to have to use it for booking food. It is so confusing! Pros: I like how customizable every feature is and how easy it is to manage my events and catering orders. I am an end user of the system. I place orders through this program. Pros: I find Cater Trax easy to use. I have used similar products in the past and I believe this is easier to navigate. Searching is easy and I have had no issues finding what I was looking for. The start to finish process is quick. Checkout is easy. I also like the availability to edit after check out if necessary. Just log in and make the adjustments. No phone calls required. Cons: I do not love the look of the pages. I believe there is room for improvement here. They could be more eye catching and appealing to the end user. I'm not sure if this is due to the way the company inputs the info or that is the only way they are able to present it. Either way, Cater Trax should make it so that the visual appeal is greater. I don't think it affects the outcome of use but rather just makes it a little more appealing to the end user.